One of the easiest ways to ruin your retirement is to avoid reality. What do we mean by that statement? Don’t let wishfull thinking ruin your retirement! For example, believing that you will win the lottery is one of the most obvious ones. Many people believe or hope they will win the lottery. The reality is that only an extremely small percentage of people will win a lottery. Of those that do, most squander their cash long before they retire. There are a number of other areas that we have identified and cover later in this post. If you fall into any of these kinds of wishful thinking traps, it is time to step back and assess your chances. Will you have a comfortable retirement with the real money that you will have during your retirement? The market does not go up every year. Just look at the years 2000-2001, 2008-2009 and even more recently 2018 to date. There have been significant declines in these years. Over the long term the market on average has increased. But what do you do when you need funds and the markets are down in a specific year? With baby boomers retiring and passing along a great deal of wealth there is a good chance you will inherit something. But will it be enough? How much will you actually receive after taxes are paid on the estate, legal fees and distribution to other heirs. Probably not that much and certainly not enough to retire on. You may indeed have lots of equity in your home. Will you down size? Will you sell and rent? You have to live somewhere. Real estate sometimes can decline as well. Will you have sufficient equity that you can access to pay the bills etc. Will your business continue to thrive until retirement? Can you sell it or will you have to work well into retirement to generate sufficient income? Develop a transition plan for your business and yourself to ensure there is something for you from your business. There are always expenses. There are always repairs needed on the house, the car, or even health bills. they never seem to go away. Start setting aside money to save now and don’t stop. That raise, that promotion etc. will allow me to save more or start saving. What happens if you get laid off? Companies downsize all of the time. Other people get the promotions. Don’t count on the promotion etc. Stat saving now. An investment that is going to pay really well may not turn out. A business venture that may or may not work. Real estate investments that take longer to appreciate than planned. All of these can happen, but they have a very high risk associated with them. This entry was posted in Retirement Planning on 2018/11/21 by ernie. Is your relationship with your spouse in good shape? Can it survive your retirement and that of your spouse? Many people are retiring and they are suddenly finding that they have lots of time on their hands. Time with their spouse which they may have not had in the past. Busy schedules, children to raise etc. all take time and suddenly that is all gone. Now you have all of this time available. You may get to spend it with your spouse you thought you knew really well. Do you need a relationship playbook for couples in retirement? Everyone has to figure out what is right for them. It is also different for each person. There can be a lot of emotion. Everything from distress at leaving friends at work to spending time with your spouse who is also dealing with the same issues. Financial affairs can add stress to the relationship. Different objectives can also be an issue. What should couples focus on as the enter their retirement years? While you may think you know your spouse really well after all of the years together it is still important to communicate well. There are a lot of things changing in both of your lives. Making assumptions about what the other is thinking is just asking for trouble. Take the time to discuss everything even if it is to just confirm what you believe your spouse is thinking. Set objectives for yourself and with your spouse together. Discuss them and adjust them as needed based on input from your spouse. Joint objectives can be powerful especially when you are both committed. Your objectives can also impact your financial affairs significantly which brings us to the next section. Create a budget together and ensure that you are both committed and supportive. Can you accommodate each others objectives or do you need to adjust your plans? Downsizing, travel, going back to work are just a few of the assumptions that should be discussed. What about home renovations and maintenance issues that may have to be dealt with? Cultivate new hobbies, pick up on old hobbies, build new friendships together and separately. These all provide something to discuss with your spouse at the end of the day. It also fills your time as well which can be stressing for one of both of you. Many people look forward to spending more time with their spouse. Others are worried because they may not have that much in common other than the kids. Some will schedule time during the day separately from nine to five so that they can meet up later in the day and discuss their days activities. Figure out what works for each other and discuss it with your spouse. Be prepared to make changes and adjustments as time goes on. The challenges can be different for men and women for many reasons. From the type of job they had to how much time they spent at home looking after the kids. Many couples find that if they divide up the house hold chores more evenly, pursuing new hobbies and activities etc. can make a difference. It could take a few months or even as long as a year to adjust to your new lifestyle. Be prepared to be patient. 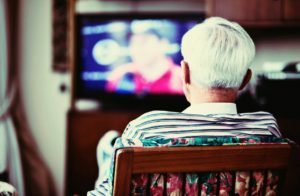 Focus on communication and making changes to adapt to being retired especially where your spouse comes in. Remember that both of you are adjusting to having more time off work and spending more time with each other. Your spouse could need more time to adjust than you do. This entry was posted in Life Style and tagged Retirement Transitioning on 2018/10/10 by ernie. 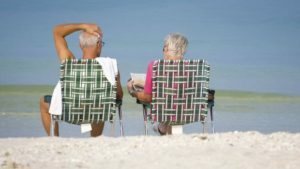 There are fundamentally Five Retirement Issues that everyone should consider if they are going to retire anytime soon! Savings, income, expenses, health and time management. If you have a plan for each that meets your needs in retirement you are well on the way to a successful and satisfying retirement. Many people do not think about retirement until they are heading out the door. Either voluntarily or forced out in a corporate restructuring or downsizing. Don’t wait, develop your plan now! How much income will your savings generate? Post investment advisors assume 4%. Can be drawn down each year. This number assumes a reasonable probability that your savings will last you well into retirement. When you add income from other sources such as pensions, will you have enough? If not, keep working and beef up your savings. How much income will you have in retirement? Add up the income from your savings, pension, investments etc. How does this number compare to your current income? If not enough should you work longer, save more etc? Review your budget now and how it will change post retirement. What expenses will disappear? Will you have new expenses? Travel, new car, home renovation, upgraded and health issues come to mind. Most people will have up to ten hours every day to fill which were originally filled by work. How will you fill these hours after you retire? Many people find it difficult after all the travel and the Home projects are completed. What is your long term time management plan? Your health can play a huge factor in retirement. Not only in terms of enjoyment but also from a budget perspective. Be realistic and plan accordingly. This entry was posted in Retirement Planning and tagged Retirement Budget on 2018/09/21 by ernie. We are vacationing on Palm Springs California for several months and have had the fortunate experience of meeting people from all walks of life. Most are retired, although a few are still working and just spending a week or two here. Several have indicated they will retire and then go back to work. They all are renting condo’s in the property where we are. It is called La Palme, on El Ceilio Road. There are 225 units, 6 pools, 6 hot tubs, 3 tennis courts and lots of above ground parking. A nice place and very enjoyable, but then I digress. Retire and then Go Back to Work! What? That is what I really want to talk about today in this post. One couple we met at the pool retired when he was 51. He had started a company and as it turned out was very successful. The company made a lot of money when he sold out and basically from a financial perspective will never need to work again. He told me that he did nothing really for the first five years other than investing his cash from the sale of his business. He found that after five years he really missed the challenge, the social element, the technical aspects of his business etc. Most of all he was worried that his mind was getting stale and he was forgetting things. Many of us focus on exercising our bodies to stay in shape and feel better about ourselves. We forget that our brains are just another muscle and need to be exercised as well. He was worried that if he did not do something he would lose it. This individual also needed the challenge in his life. He wanted to feel that he could still make a contribution in life. He decided not to go back to work, but he did decide to get involved as a consultant to several companies and he volunteers on several organizations in the community. This approach made him feel worthwhile again and people recognize his contributions as well. This is what worked for him. While it may not be right for everyone, the point is that you cannot just retire and do nothing. Get involved and support your community, go back to work part time, focus on your investments and retire and then Go Back to Work or do wherever your interests take you. For more thoughts about lifestyle issues in retirement, click here. This entry was posted in Senior Life Style and tagged Lifestyle Decisions on 2018/04/21 by ernie. Divorce is difficult enough at any time in your life. The younger you are when you divorce, the longer you will have to recover financially from the settlement whatever it may be. But when you manage divorce and personal finances after age 65 or after you retire, it can be much more complicated and financially difficult. There is the usual splitting of assets based on age, dependency, support needs and access to the kids. With two people no longer sharing the expenses of running a household, it can become much more expensive for the individuals involved to handle all of the associated expenses. Significant adjustments for all parties are often needed, sometimes with painful financial realities. A middle aged manager who reported to me who decided that he was going to separate from his wife and move into a place of his own, indicated to me less than six months later that he could not afford to live separately. It was just too expensive. He decided to move back in with his wife and children because it was just too expensive otherwise. Now imagine if you have just retired and are around 65 and have decided to retire. What are the impacts of retirement, divorce and suddenly realizing that you have to split all of your assets and income with your spouse? Unless it is way beyond making it work, we suggest that people in this situation find ways to make work for them and recover their relationship. We will not even begin to address what this might mean on an emotional level. It is far too complex and varied to address. We will try to address some of the financial considerations instead. As a couple, you may be financially secure, sharing the expenses and supporting one home, car etc. We are following this with a list of areas that need to be considered assuming it is a 50 – 50 split which it seldom will be in most situations. Readers can apply this list to their own situation and make adjustments as needed. Your Home – assume you will either sell your home and split the proceeds or one spouse will buy out the other. Either way you end up with 50% of what you had and all of the expenses. Most people cannot replace their current home with 50% less. Your Car – if you only have one car, you may have to buy another and split the value of the current vehicle 50 -50. Even if you own two cars, chances are one is worth more than the other. While your investments and pension income may be sufficient to support cohabitating couples, after they are both split 50 -50, will you have sufficient income to live in the manner you have become use to. Not likely and significant adjustments in life style will be needed. Your debts – are much the same. If the debts were jointly created then you have 50% ownership. However once divorced your credit rating may fall. Suddenly consumers find themselves unable to find lenders to loan them money to finance their portion of the debt. Insurance Coverage – do you still need life insurance coverage? Will the insurance costs double because now you need to support two homes etc. Look at all of your insurance coverage to ensure that affordability is considered, Make sure you have adequate coverage for your needs. This can be a huge area especially for consumers in the US. Does one spouse lose coverage after the divorce and do they need to find additional coverage often at considerable expense? Gifts to the kids – gifts to the kids that were previously shared are now individualized. They may cost more as well when you consider that as a couple you are actually spending more money. Cut backs may be needed in order to survive. Personal Items – that have significant value are some of the most difficult to deal with. Not only do they have significant sentimental value, it might be difficult for one spouse to buy the other out. This is a relatively short summary. However the ramifications can be significant for a spouse planning to separate and get a divorce. Especially if it is after they retire after the age of 55. 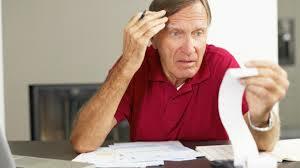 Sometimes it is just much easier to Manage divorce and personal finances after age 65 than it is to actually divorce. Think carefully about what action you want to take before initiating action that cannot be stopped once it begins. For more on this subject, Manage divorce and personal finances after age 65 , click here. This entry was posted in Fin Independence and tagged Retirement Budget on 2018/03/07 by ernie. Should I Carry some Debt into Retirement? The quick answer to the question, should I carry some debt into retirement is no, if you can avoid it. Obviously who would want to knowingly carry debt into retirement, however there are lots of people that are retired and are carrying some debt. Whether it is credit card debt or a line of credit, it is another monthly payment that must be made and depending on the interest rate it can also be very expensive. Credit cards carry interest rates of 21% or more on any unpaid balances. Even unsecured lines of credit can be expensive. They typically are higher amounts and the interest rates are higher as well for anything that is un-secured. Sometimes life just gets in the way. The best laid plans are foiled by early retirement. People get laid off from their jobs, are forced to retire early because of health or down sizing. If you find yourself in this situation and you still carry a mortgage, chances are you will carry it into retirement as well. Many people decide to go on trips when they retire. Some will spend money on the house to freshen it up. There are many ways to spend money and if we are not careful it means we carry it into retirement as debt. Debt in retirement does not always have to be a bad thing. Obviously we would prefer not to have any debt. Manageable debt that is declining over time through monthly payments is okay. Debt that is used for investments is obviously higher risk, but it can have tremendous payback. For most people if you have debt, try to repay it as quickly as possible. Pay down the highest interest rate debt first. Renegotiate your debt to arrange for lower interest rates and less fees. Avoid missing payments. If you must, downsize your home and expenses to focus on reducing your debt as quickly as possible. Avoid spending money that you do not have. Prepare for the day when an emergency will eat up a lot of your savings. For more about debt reduction in retirement, click here. This entry was posted in Debt Reduction and tagged Debt Management on 2018/02/21 by ernie. We recently read an article about older Americans who are living a nomadic life. In her powerful new book, Nomadland, award-winning journalist Jessica Bruder reveals the dark, depressing and sometimes physically painful life of a tribe of men and women in their 50s and 60s who are living out of an RV or trailer. They travel around the US in search of good weather and most of all jobs. They find temporary jobs and work at these jobs while they last. Most are seasonal and very demanding physically. There is another sector of seniors who fall into the category of Senior Nomads Airbnb. She also talks about some of them who live in Airbnb’s. these people have sold their homes or at the very least rented then out while they travel. They have more money and are out to see the world. Some will work as well at part time jobs while they travel. They live off their pension and investments from their homes and are out to see the world. There are many people who cannot afford to travel and who either rent a home or live in the home they have had for years. They can barely live on their incomes and their homes are gradually falling apart because they cannot afford to keep them up. These folks might be termed as locked in place. They cannot sell and they cannot move, because it would just cost too much money. Money that they cannot afford. 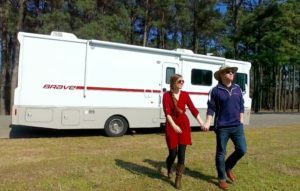 At least the folks who live out of their RV’s and travel around the US have a place to live and a home such as it is. As long as they can continue working, they can live and put food on the table. If they get sick and need medical treatment, they will be destitute and broke from medical bills. 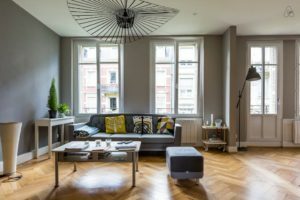 If you are a senior and own a home, perhaps by creating an AirBnb in your home, you can add a little money to your income and live more comfortably. There are many people who love to travel and spend many days each year going from city to city for vacation as well as work related activities. This approach could add thousands of dollars to your budgeted income and make life just a little more comfortable. Use the guidelines provided by Airbnb to help you make arrangements, accepting credit cards, deposits and much more. This entry was posted in Senior Life Style and tagged Retirement income on 2018/02/07 by ernie.